Maarten Stekelenburg’s (£5.0m) seven saves, including two from penalties, earned him the maximum Fantasy Premier League bonus points on a day of frustration for Manchester City. The Dutch goalkeeper scored 53 in the Bonus Points System (BPS), well clear of the 27 recorded by City midfielder David Silva (£8.7m) and Everton striker Romelu Lukaku (£9.4m), who were both awarded two bonus points. 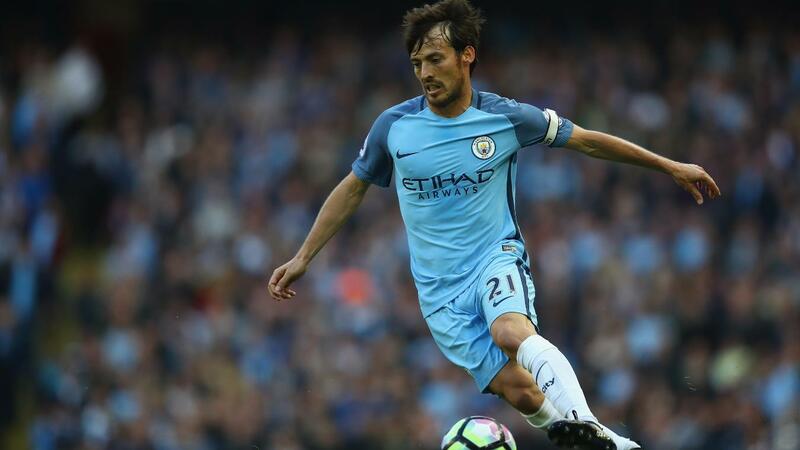 Silva, who provided the assist for Nolito's (£8.8m) equaliser, was particularly industrious throughout, with his seven key passes the highest total in Gameweek 8 to this point. Lukaku’s goal was his fifth in six Gameweeks, with the striker also contributing five recoveries to his team's cause at the Etihad Stadium. Silva recorded the highest ICT Index score of 17.2 at the Etihad Stadium, with a Creativity score of 103 second only to Southampton's Dusan Tadic (£7.2m) for Gameweek 8. The Spaniard provided 12 crosses and amassed an impressive 43 successful passes in the final third – again, more than any other player in the Gameweek. Kevin De Bruyne (£10.6m) returned from injury to challenge Silva at the top of the Index. He recorded a score of 16.7 made up of eight goal attempts, 19 crosses and four chances created. However, the Belgian’s performance was overshadowed by a first half-penalty miss. Faced with injuries and fatigue from international exertions ahead of Wednesday’s UEFA Champions League tie with Barcelona, Pep Guardiola made key changes to his line-up. The most significant was Sergio Aguero (£13.1m) being named on the bench. The Argentinian was Gameweek 8’s most popular captain choice, with 24% of FPL managers backing him with the armband. They were to be bitterly disappointed as Aguero was introduced on 65 minutes to miss a second City spot-kick, returning -1 points. Aguero is now goalless in five matches for club and country. Elsewhere, Guardiola deployed a three-man defence, with Gael Clichy (£5.4m) preferred to Aleksandar Kolarov (£5.9m) on the left. The change in formation failed to solidify a defence that has now kept only one clean sheet all season. Despite some concerns over their form, Guardiola’s men have a schedule of fixtures that promotes investment in their FPL assets. Southampton will provide a stern test in Gameweek 9, although that is followed by trips to West Bromwich Albion, Crystal Palace and Burnley and an Etihad meeting with Middlesbrough. For Everton, Lukaku's prolific form keeps him ranked second in the FPL forward standings behind Chelsea’s Diego Costa (£10.1m) on 50 points. Upcoming fixtures away to Burnley and at home to West Ham United have tempted further investors: only Arsenal’s Theo Walcott (£7.8m) and Stoke City’s Joe Allen (£4.8m) have attracted more new owners since Saturday’s deadline.